Summertime puts everyone in a good mood. The weather is warm, there are extended daylight hours, and it is the season to party. If you’re on Long Island, the Hamptons is the place to be for summer parties. NY Party Works has been serving the Hamptons for 20 years and can help you plan your best Hamptons party. Wow your guests with the following party ideas and party rentals. If you’re thinking of hosting a Hamptons beach party, you probably have a lot of outdoor space to work with. You may want to consider some of the larger party rentals such as those from the carnival rentals. The Tubs of Fun ride is one of the most popular rides of all time. It is a carnival type ride that has six tubs and each tub spins and the entire ride also spins! It can hold up to 24 people at one time and will entertain both children and adults of most ages. If your space allows, you can even try the Lil Swing Ride for kids ages 10 and under. It is a miniature version of the amusement park swings, and it seats six. You can finish off the carnival beach theme by renting some of the carnival food stations. With its easy setup and simple operation, the cotton candy machine adds something extra to your party. Your guests will get a kick out of the hot dog cart too, reminiscent of those seen on city street corners across America. White parties have been trending in the Hamptons for years. Many celebrities have hosted white themed parties at different venues and even their residences. You can host your own white party at either a venue or your Hamptons home. White parties are regular parties, but where the guests dress in all white, and typically the venue has black lighting so the white outfits really pop! A fantastic touch to your white party would be the rental of the LED games. Check out the LED foosball table, a glow in the dark version of the original! There is also a ping pong table and shuffleboard table available in LED. All of the LED game tables can be used both indoors and outdoors, lighting up your event! A popular way to celebrate any bride-to-be is with a night out for her bachelorette party. It is an opportunity for the guest of honor to laugh, have fun and let loose. NY Party Works has a few rentals that will help her and her guests do just that! Capture the moments of this special occasion on film by renting one of our photo booths. There are 4 different style machines, one to surely fit your photo needs. The Classic Strip Booth provides two duplicates of one strip of four photos. The IT Booth takes the picture and uploads it to either your phone or your social media accounts. Mirror Me talks to you to help you choose the best poses for the ultimate selfie! The Snapshot Photo Booth offers four pose modes. The Mechanical bull is always a hilarious addition to any party, especially a bachelorette party. The mechanical bull can be used inside or outside and we can work with you to fit your space. Guests can ride the bull as fast or as slow as they want because you can control the bucking. It is both safe and fun as it has inflatable walls and landing and no matter what will certainly form an audience! NY Party Works has been providing the Hamptons communities with party rentals for over two decades. We even have a total event planning staff that will help you plan your entire event and address your every party need. 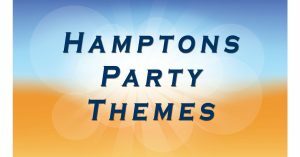 To get more information or book your Hamptons party today, please call us at (800) 469-3866 or fill out our form.